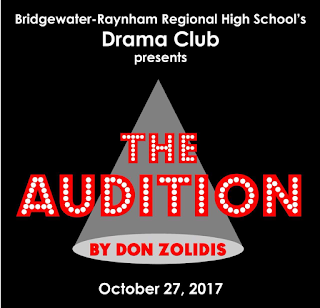 The Bridgewater-Raynham Drama Club will be presenting “The Audition” by Don Zolidis on Friday, October 27th with a dinner at 6:15 and the show at 7:30. Tickets are $14 per person and include a dinner of spaghetti with Johnny Macaroni’s sauce and a delicious brownie sundae followed by the show! 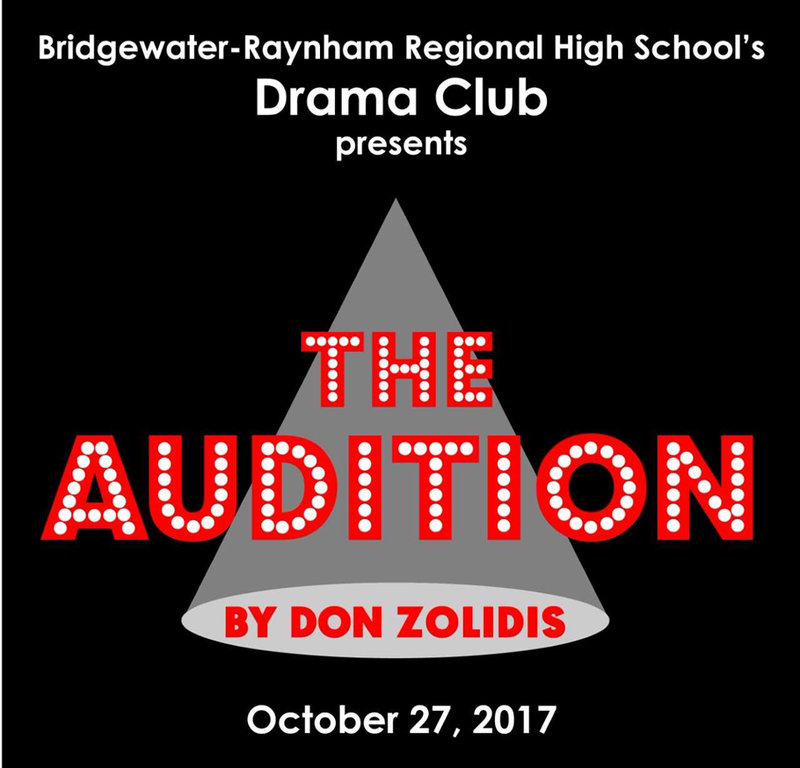 "The Audition" is a great show focused on a new theater teacher bringing a production of A Chorus Line to the high school. Though the hopefuls range from shy to outrageous, and from diva-like to determined, everyone has a chance to step into the spotlight. A hilarious and heartbreaking look at the madness of auditioning and the actors who brave the process for that perfect part. Tickets are available at the door or can be purchased online by clicking here.